Okay... I have tried hard over and over to make sprites from scratch, but I simply do not have the skills that making sprites requires. So, I turn to our resident sprite artists to request sprites. I realize making full sheets (bigobs, handobs, and floorobs) is an extremely time-consuming and detail-oriented process, but think of how many new sprites you'd be injecting into our collective library. 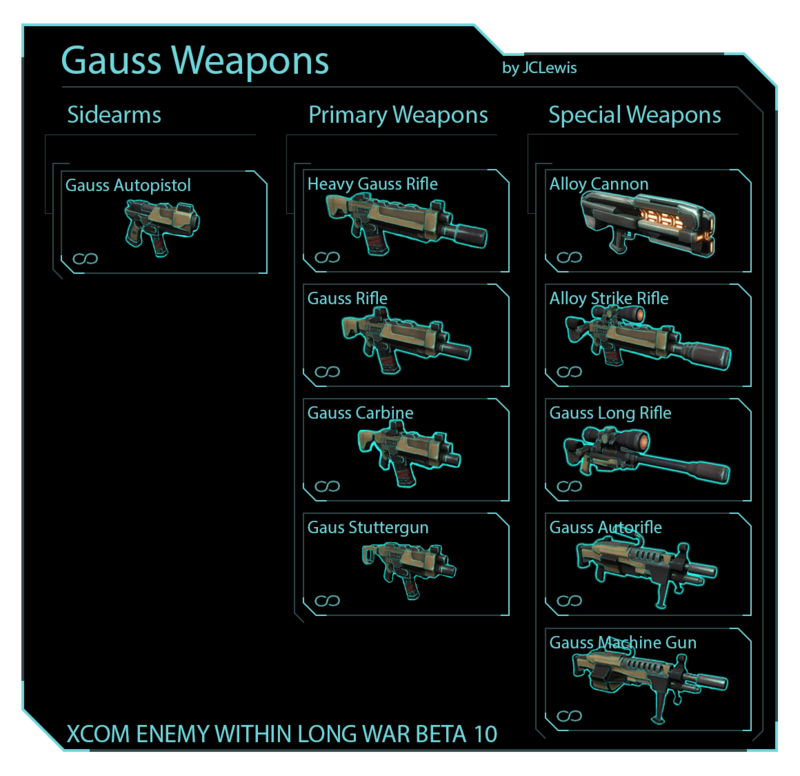 So, here's the items/models I'd like to request that you guys add to our library. 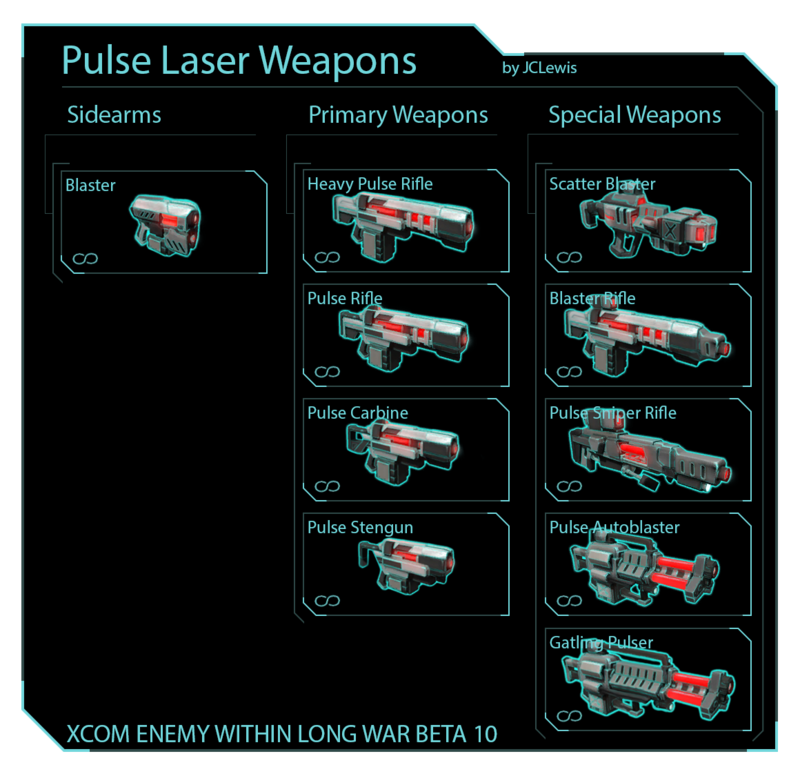 Are you asking specifically for these weapons made as OpenXcom sprites? 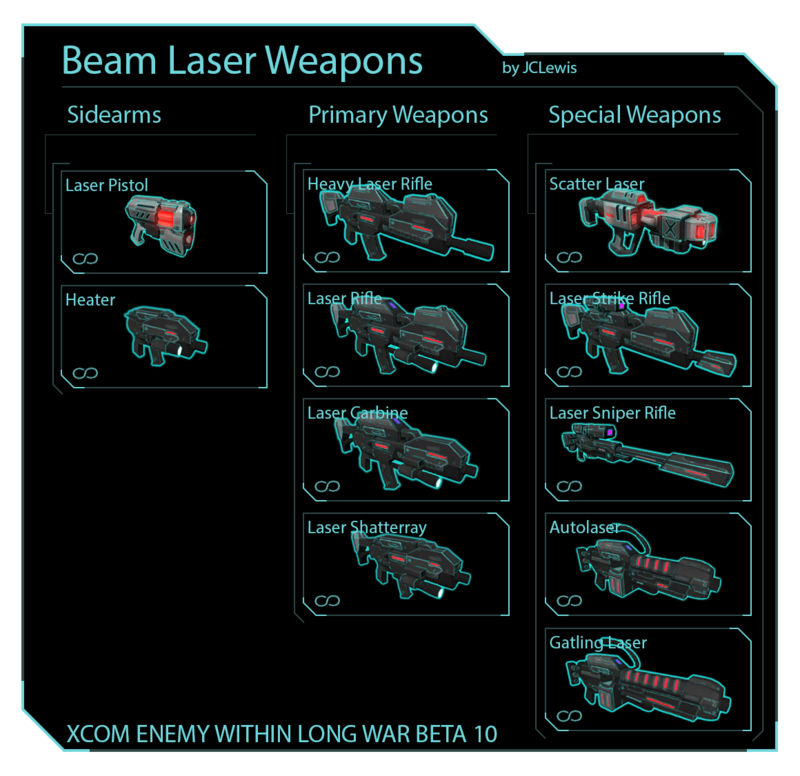 Or do you want just any laser sprites? I attached my red/blue lasers here in case you want them. I'm interested in assisting the sprite community, but I can't very well design something from scratch. What I do best is take a base design and polish it a bit. 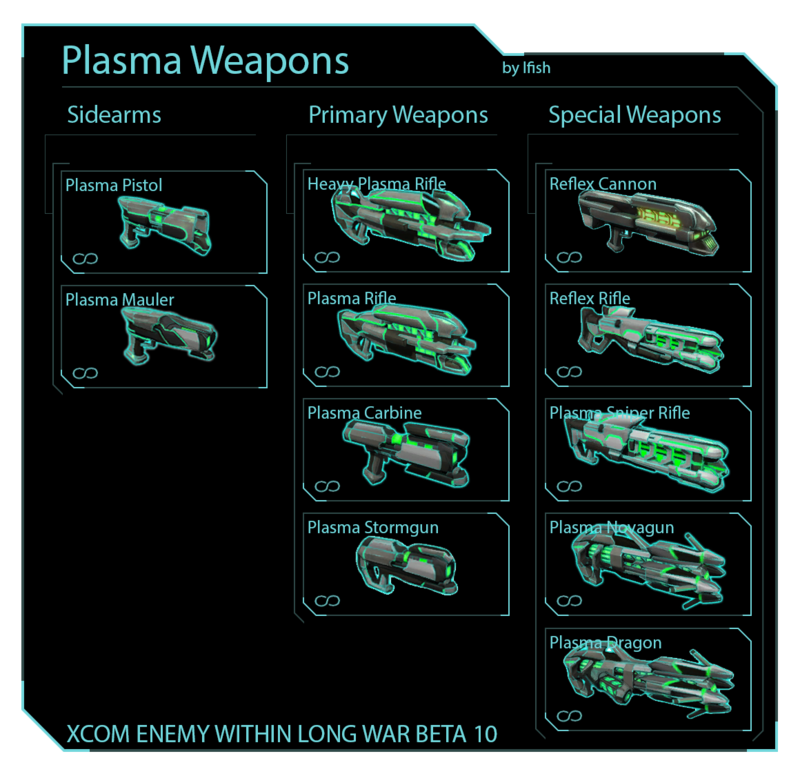 The Firaxis weapons as sprites in OXC.